Kyoto is historical Japan at its most recognizable. Visitors come here from around the world to stroll along the cobbled stone roads, surrounded by the narrow wooden buildings that still stand in some of the oldest neighborhoods in the city. Hundreds of beautiful temples and shrines are devoted to Buddhist and Shinto deities. Sanjusangendo, Japan Our 5-Star classification designates those select properties that provide exquisite service and amenities. The discriminating traveler will find the accommodations, ambiance, dining, and staff assistance of the highest caliber. These properties offer the utmost in luxury and will provide an outstanding experience. 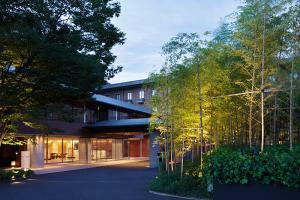 Culture and tradition meet with modern comfort at this elegant hotel in the heart of the historic Higashiyama district.